Saving Energy's MD puts Energy Saving Shower Heads to the test! You are here: Home / Facts and Fiction / Saving Energy’s MD puts Energy Saving Shower Heads to the test! Saving Energy’s MD puts Energy Saving Shower Heads to the test! Energy & Water Saving Shower Heads – Do they work? Earlier this week, I collected my energy & water saving shower head from my local Postnet. Clare Anderton from Oxygenics in Cape Town had sent me one to test (and keep) so that I could see for myself if these products really did work. She advised me to do the “water flow” test in my shower. Using your current shower head, run the water til you get to your normal shower temperature and pressure. Then, take a bucket and put it into the water stream for 15 seconds. Then multiply this by 4 to get your Litres per minute rate of your shower. So I did as instructed. The amount of water I measure was just over 4,5 litres. This would give me a litres per minute volume of 18l/min. Now for their shower head. I unpacked it from the box and it looks just like this one – this is the Skincare Model. I removed the old shower head and installed this one – quite easily , I might add. Then,ensuring I used the same method,I turned on the water and got the water flow to temperature. I then put my bucket in the water stream , timed 15 seconds and removed it from the water. I was amazed and surprised! It was half the water volume! Now, with this shower head, my water volume is only 9 litres per minute. Thinking about this, let’s put this in perspective. My wife and I shower every night for about 4 minutes. With the old shower head, we would use around 72 litres of water each , or 144 litres a day! When you say it like that, it’s a lot! Now, we would only use HALF of that! Plus, the other aspect of this is that we would use less electricity to heat that water, as would again only require HALF the amount of hot water daily! Not only did this shower head use 50% LESS WATER, but the pressure FEELS stronger and as someone who likes to FEEL that pressure when I shower, I was most impressed knowing that while I was getting a great shower experience – I was getting it using HALF THE WATER! If you have been around this website , you will know that Saving Energy is now offering these Energy Saving Shower Heads from Oxygenics -however, as the MD of Saving Energy, it is my responsibility to ENSURE that anything I endorse as an energy saving product IS actually and energy saving product. As with our geyser timers and blankets(which I have myself), I would not recommend anything to you that I have not personally used or been witness to its effectiveness. So, in conclusion, I would like to thank Clare andOxygenics for the shower head and I would thoroughly recommend these products to anyone looking to enjoy their showers and cut their water and electricity use in half at the same time! Act now -save water ! 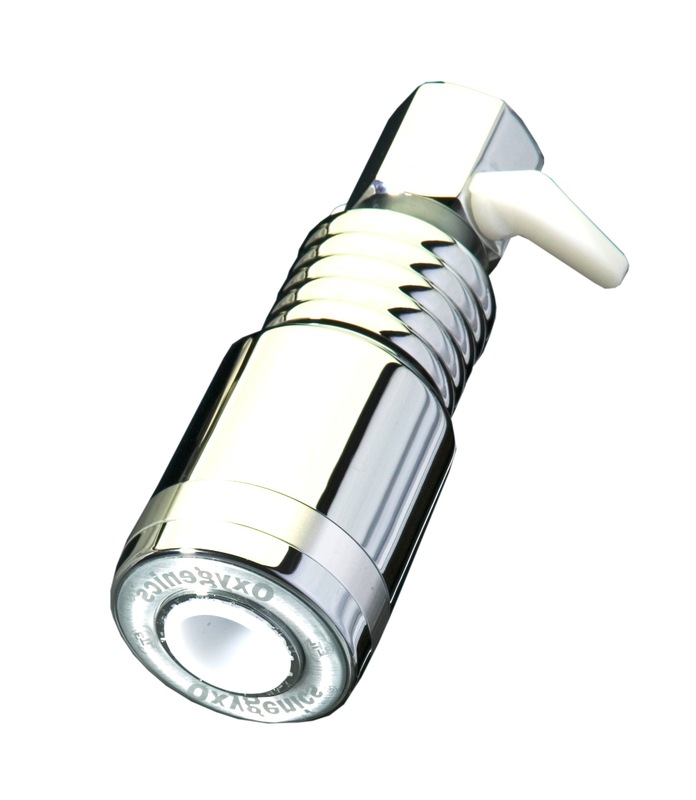 Order your Oxygenics Shower Head from Saving Energy by filling in the form below.